When it’s time to replace the attic insulation in your Charleston, South Carolina, home, turn to the company with “insulation” in its name – 31-W Insulation. We’ve been offering exceptional insulation products and installation services to homeowners throughout the Southeast since we opened our doors in 1972, and over the years our dedication to customer service has made us the trusted source for insulation and other home improvement products. Fiberglass offers reduced utility costs and energy consumption. Most homeowners experience increased comfort and more stable home temperatures. Fiberglass batts are suitable for most residential homes with stud and joist spacing. It’s a highly affordable option, allowing you to conserve energy and enjoy a more comfortable home environment without breaking the bank. Additionally, when the experienced professionals at 31-W install your attic insulation, you can rest assured your project is in good hands. 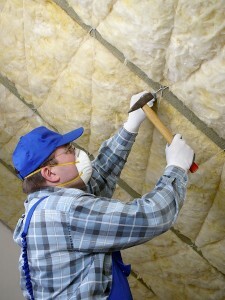 Our courteous and highly trained technicians will arrive at your home on time, ready to install your insulation to your complete satisfaction. In fact, it’s that kind of commitment to excellence that’s helped us earn an A+ rating from the Better Business Bureau, so you can be sure the service you’ll receive from us will be second to none. For more information about attic insulation for your home in Charleston, SC, or other communities in the Palmetto State, contact 31-W Insulation today.